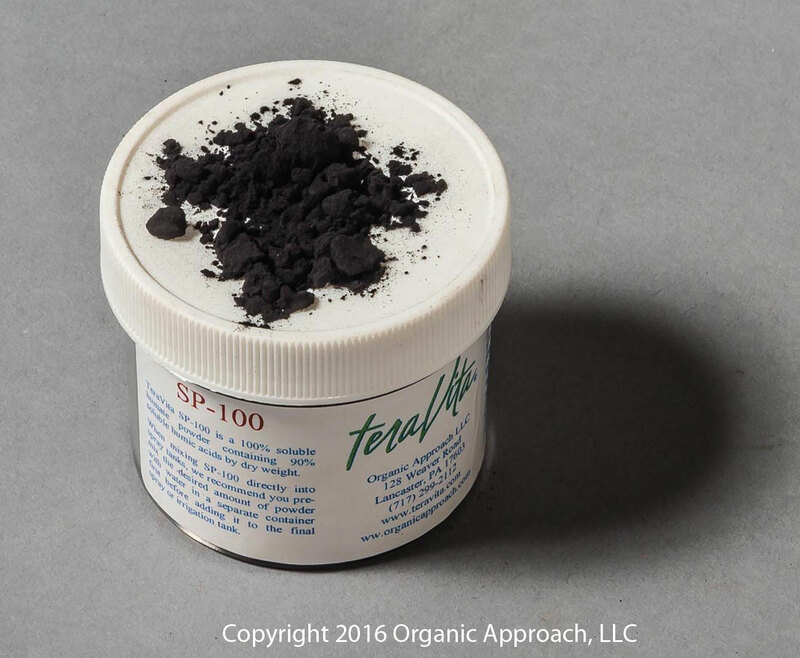 TeraVita SP-100 is a 100% soluble humate powder (soluble salts of humic acids) that contains a minimum of 99% humic acids. Humic acids are not a plant food. Humic acids may increase the availability of micronutrients. TeraVita SP-100 is 100% soluble in water. This enables the product to be applied dry or in a liquid form. When adding the powder to liquid tanks, thoroughly pre-mix the powder with water in a separate container before adding it to the final liquid tank. TeraVita SP-100 is compatible with most companion materials, except those with a very low pH (less than 3.0). It is not compatible with calcium nitrate. To be safe, an initial jar test is always recommended when mixing TeraVita SP-100 with companion materials for the first time.